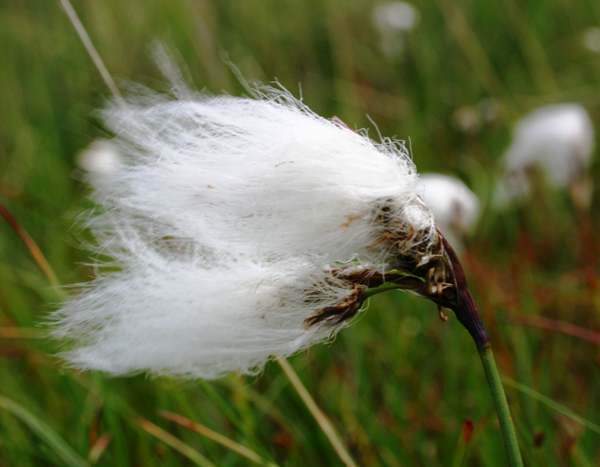 On marshy upland bogs in Wales you will see fluffy heads of Cotton Grass throughout the summer and autumn months. Individual stems grow from underground rhizomes and they each bear several flowerheads, unlike other species in this genus, such as Eriophorum vaginatum. which has just one flower per stem. This plant is common on acid boggy ground throughout Britain and Ireland. 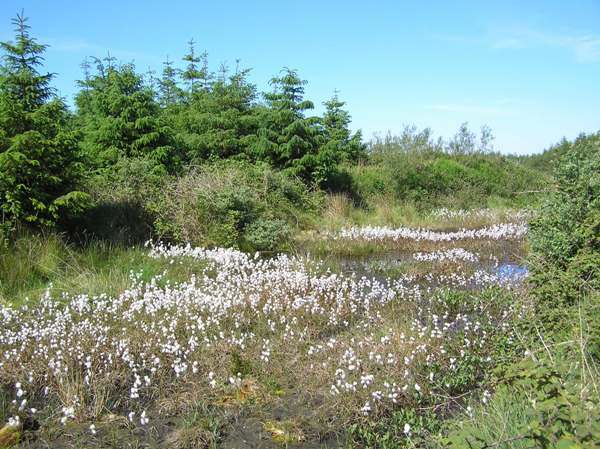 In Wales, Common Cottongrass is plentiful in Snowdonia and on Cors Caron, the great red bog at Tregaron in the upper reaches of the River Teifi. It is the fruits that make Common Cottongrass so visible, they are dark brown and have white cotton-like hairs resembling cotton wool. The flowers appear in April to May and are followed by the fruits in June and July. The fruits are dark brown with cotton-like hairs which are most visible in June. The plants shown on this page were photographed in West Wales in June.